The Perfect Size Gold Op? I’m sharing some emails and pics which Bill was nice enough to send us. One reason I’m sharing is the SIZE of the operation. 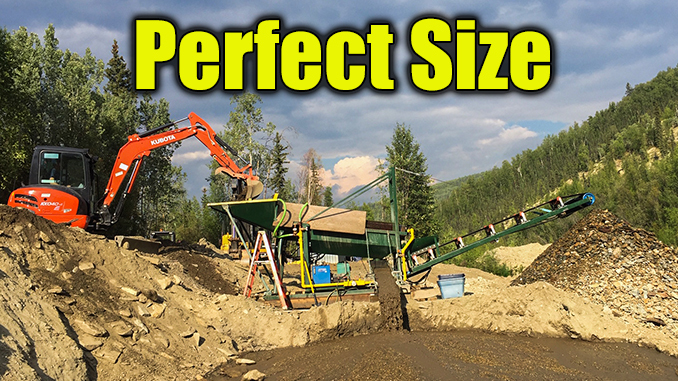 To me, I think many “prospectors” see themselves running a plant this size. Fewer headaches, less overhead, and FUN operation to run. 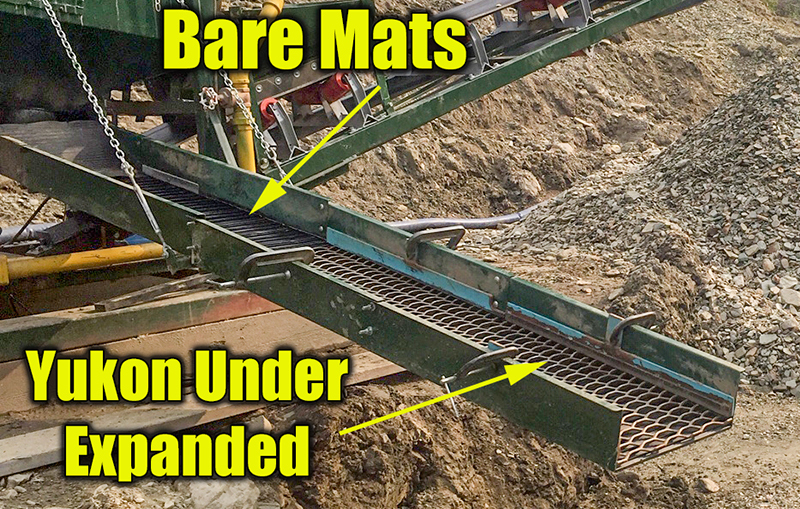 I also wanted to post so that commercial ops wanting to replace miners moss with our Yukon Mat under 4 pound expanded could LEARN about proper tuning. When you run Yukon under LARGE 4 pound people often don’t run it HOT enough, but Bill figured it out just right. I truly special thanks to Bill for taking the time to do this. 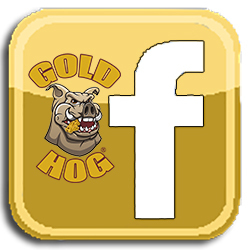 Hi everyone at GoldHog. Merry Christmas and an awesome 2019. 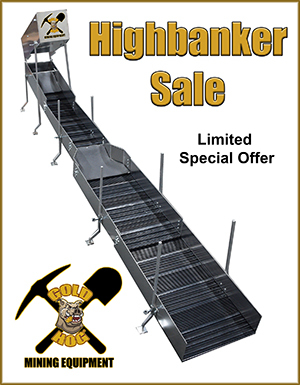 On the 24” trommel sluice I have 70” of mixed matting, bedrock, trimmed river hog,ur,talon,razorback,bedrock. Then have 70” of 4 lb expanded on Yukon mat. The Yukon mat took some tuning to get it to run clean but now have it!! I run about 12 to 15 yds/hr thru the plant. 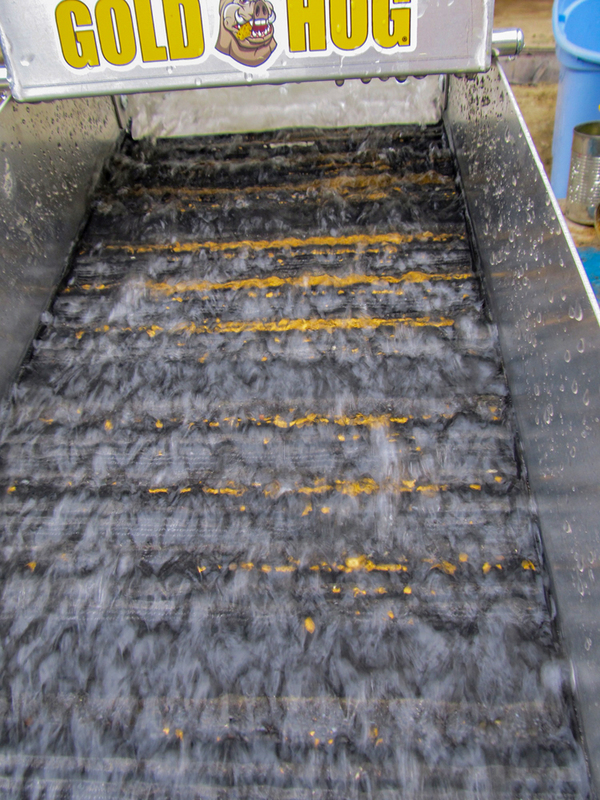 The hog matting in the trommel sluice catches almost all the coarser gold and fines in the first 4 ft. 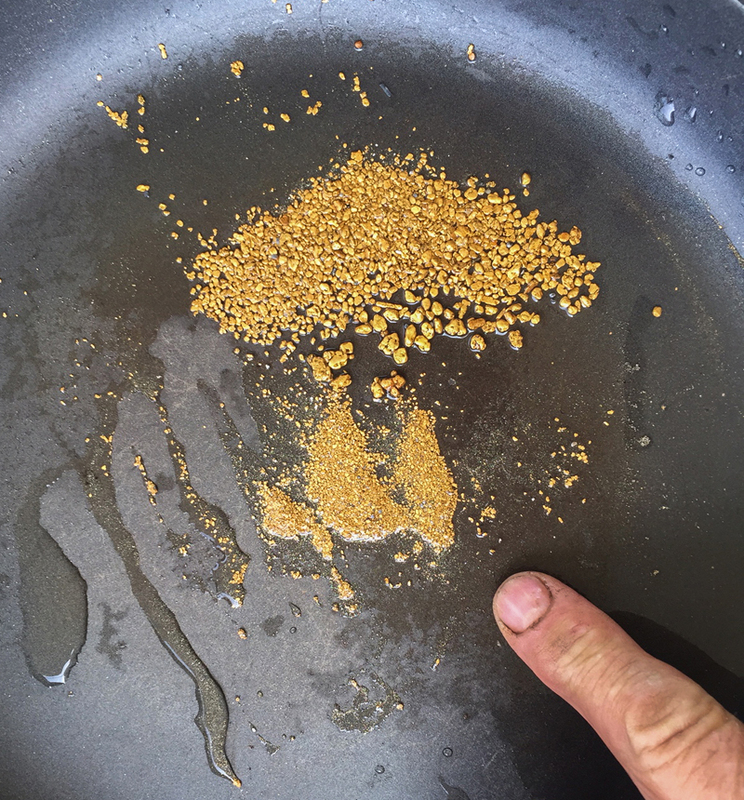 The expanded catches some fines and the odd floater flat nugget. We usually clean the top mat daily to see how it’s going, leave the expanded for 2-3 days. 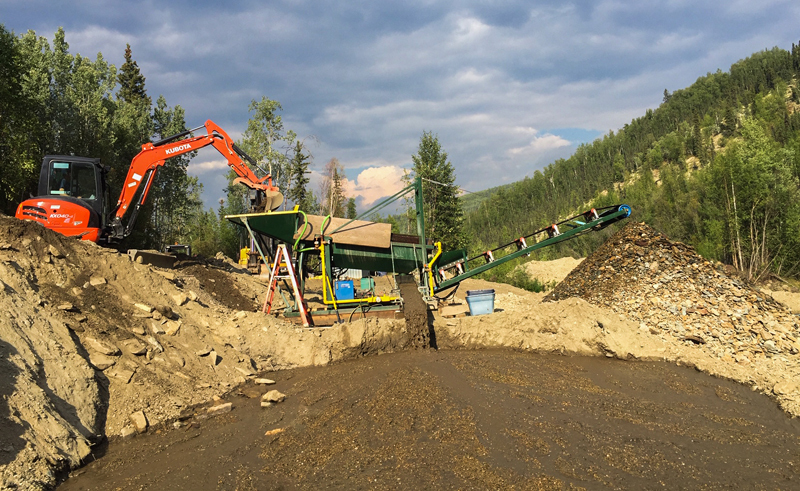 We started out with the main upper sluice (bare mats only) 6 ft of sluice at 3” drop/ per12” slope and the Yukon with expanded at 2.5” / 12”. The expanded and Yukon was loading up quite bad so went to 3”/12”, it was better but not perfect, so we went to 3.5/12 which cleared it up just right, could see a bit of mat in most of the openings. Good action behind the expanded. 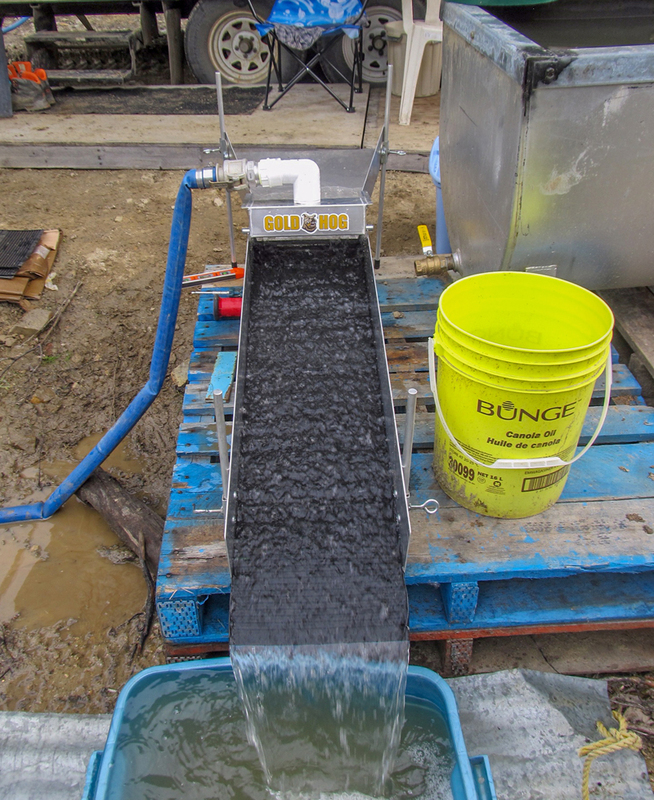 The sluice is 16” wide top to bottom, trommel classifies to 1/2”. Trommel turns at about 9 rpm . 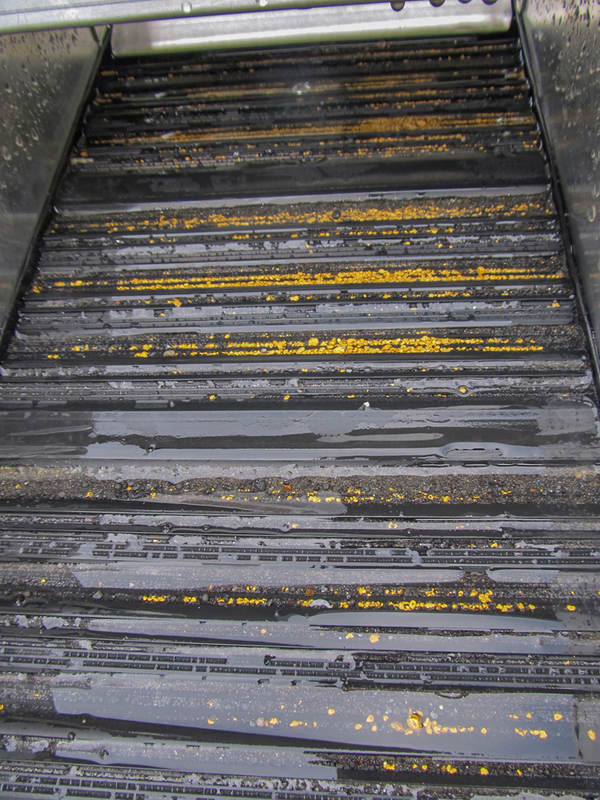 There is about1” to 1-1/2” of water over the matting and expanded. 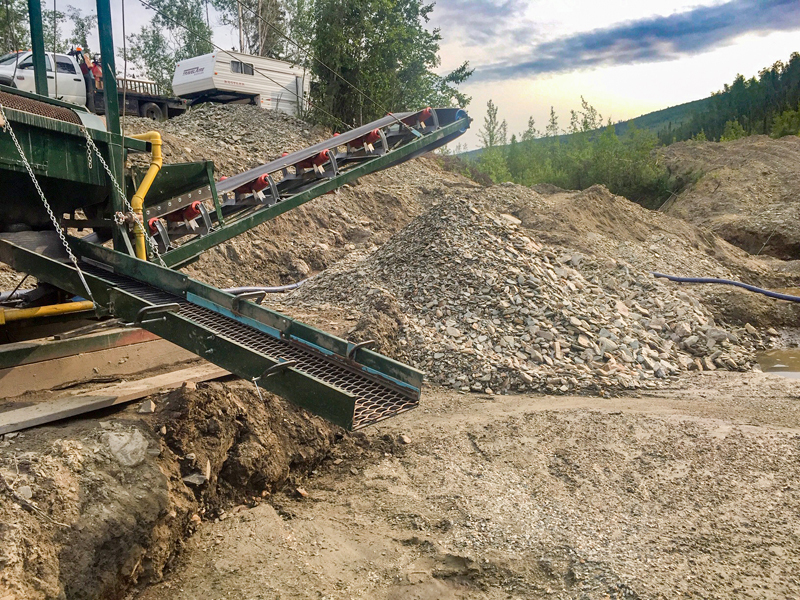 Trommel has 3’ of solid at top with 4 —2” hi paddles, then 5’ of 1/2” screen then 12” of solid and out-to tailings conveyor. Spray bars around the top of feed hopper, pretty well slurries material, and spray bar up in drum for 6’ washes materials really well. 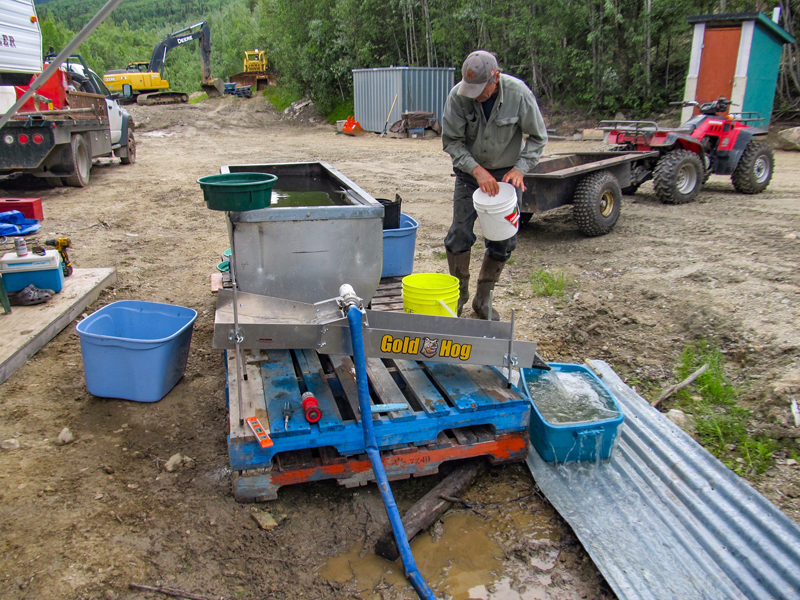 Clean up is done with the GoldHog river sluice set up with a 1-1/2” pump just idling, I made up a washer mat for it. This works awesome. 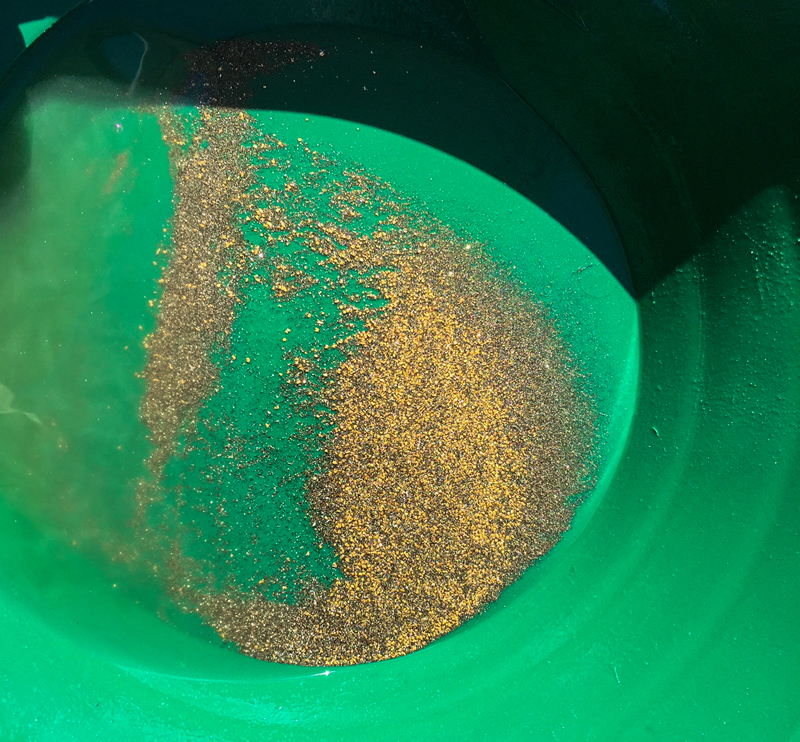 We run the bottom tub thru every once in a while and do not find much loss. Washer mat gets the fines and all. 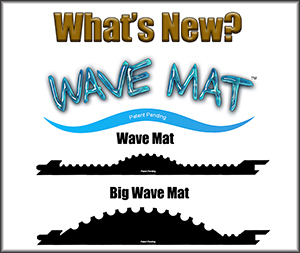 Have been showing the mats to other smaller operators, hope they get some too. If any of you come to Dawson area be sure to give me a call. 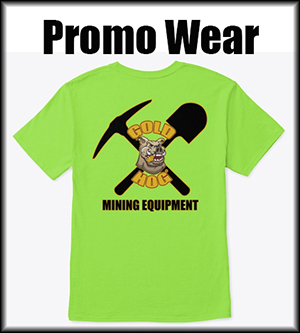 We usually mine for the month of July, like to keep it simple and fun, not a job!! !